TVNZ 1’s new-look Britcom Thursday scored highly with its target audience. Last week’s launch of The Windsors, Upstart Crow and Mountain Goats was tops with 25-54 year-olds. The Royals send-up averaged 4.3% of this demographic, Upstart Crow 3.6% and Mountain Goats 3.5%, generating channel shares of 18.3% – 20.6%. Off the back of MasterChef Australia’s time-slot winning 5.4%, the triple-bill improved on the previous week’s season finales of Cold Feet (3.0%) and 20/20 (1.7%). They fared less well in the other core demos, with 18-49s and 18-39s opting for TVNZ 2’s reality shows, and household shoppers with kids for TV3’s repeat of The Taking of Pelham 1 2 3. 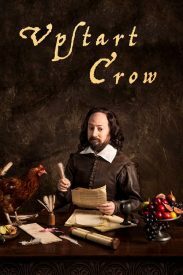 And even among 25-54s, Upstart Crow and Mountain Goats drew fewer viewers than the 6pm re-run of The Simpsons. Prime’s network movie premiere of Oscar-winner Amy averaged 1.2% of 25-54s, 0.9% of 18-49s, and 1.0% of 18-39s, which was significantly higher than the averages for the previous week’s Prime Rocks. TVNZ 1 won the night with 25-54s but TVNZ 2 scooped 18-49, 18-39 and shoppers with kids.